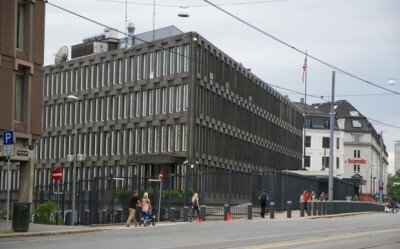 The US Embassy in Oslo has publicly ignored embarrassing remarks about Norway made by its incoming ambassador, George James Tsunis. Behind the scenes, though, embassy staff reportedly has been taking damage control measures, after Tsunis offended Norway’s Progress Party and the Norwegian government in which it sits during his US Senate confirmation hearings. TV2 reported over the weekend that an unnamed embassy representative had confirmed to TV2 that embassy staff had conducted several “private conversations” with officials both within the Norwegian government and within the Progress Party (Fremskrittspartiet, Frp). The conversations took place after Tsunis made some major blunders under questioning at his confirmation hearing earlier this month: Tsunis referred to the Progress Party as part of “fringe elements” that “spread their hatred” but are quickly denounced by most Norwegians. Tsunis just as quickly corrected himself after he was rebuked by US Senator John McCain, who noted that the party was part of government and clearly hadn’t been denounced. Party officials in Norway, meanwhile, didn’t take kindly to being branded as an “anti-immigrant” party or a “fringe element” by either McCain or Tsunis, and some party officials demanded an apology. They seem to have received one, if not from US President Barack Obama who nominated Tsunis, but from embassy officials who, according to TV2, privately have stressed to party and government officials that the US has “excellent relations” with both the Norwegian government and the Progress Party.